Whose batim do you use for your basic gasos and why? 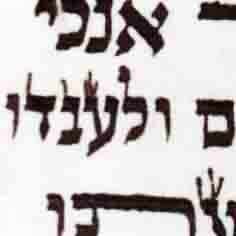 For non Edah, avodas yad retzuos I use from 2 of the well known and oldest makers under respected hechsherim. One wholesale customer recently told me that he got feedback from some of his customers that the retzuos I provided (I don't know when) were taking on a reddish brown hue.While well aware of this issue, I haven't seen it myself on the retzuos I have in stock nor heard about it from any other customer. For some reason, on a rare occasion, the paint can take on this hue. I assume there's some chemical reason for it and I've even see it return to black. (Rav Elyashiv held it was still kosher with this hue.) As this client isn't aware of this metzius, he immediately assumed that "my" retzuos were not good quality. I explained to him that it has nothing to do with the quality and happens on occasion to any retzuos, including those with the best name, hechsher and highest price. Have you experienced this is the recent past? There is a top maker who does a run with paint made with black aniline pigment rather than the paint that the Badatz and others permit. While it's known to be 100% synthetic and there's no concern that any of the pigment is from animal bone, it is known to often have this problem. Synthetic paint and ink are not an issue at all. 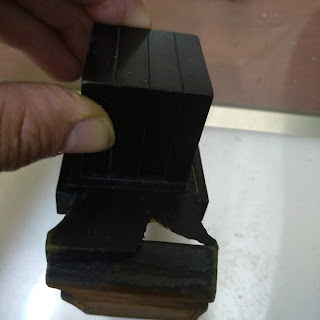 The black pigment in regular ink of Afatzim and Kankanton is a 100% synthetic chemical which does not exist in nature and is made artificially by humans through the reaction of the kankantom with the acid in the afatzim. Also the kankantom that is used today is no longer the natural kankantom which was mined from the ground. Natural kankantom is no longer avaiable. The kankantom substitute that is used today is 100% synthetic Iron-Sulfate which is made in a factory by etching iron or steel with sulfuric acid. 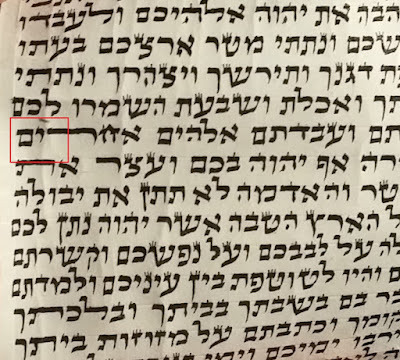 So, the black pigment in the ink is 100% synthetic; the kankantom substitute is 100% synthetic, and none of the Rabbis complain about it. When my friend told it to Rabbi Friedlander זצ"ל his face turned white and he could not talk for a few minutes. This was a big surprise for him. I'm not sure why you're bringing up ink ingredients. I am specifically discussing batim and retzuos paint, which is not the same. Actually, possible bone based pigment has been found in some lab tests of standard paint used for retzuos and batim and this is why some make a special production of aniline paint for batim and retzuos, among them the mechabrim of Zichron Eliyahu, Harav Morganstern and the batim maker Gitman. In any case, this was aside of my main post. My point was to show that synthetics are not an issue at all. I never suggested they weren't, particularly for paint of batim and retzuos. Rav Elyashiv was machshir but I think as bedieved. It's certainly not mehudar. I spoke with one of the leading retzuos makers. He said that the bronze hue is due to nature- temperature and humidity. He suggests wiping down the affected area with a moist cloth. I saw the same eitza some time ago in a video from Rav Shlomo Moalem shlit"a (Yeriot Shelomo). He said to wipe the retzua down with a baby wipe. thanks! I was actually thinking the same thing.